Clarice A. Erickson, 96, died Saturday January 8, 2005 at Heritage Nursing and Rehabilitation Center where she had resided for the last eight years. She was born December 7, 1908 in Barrett, Minnesota to Lars and Ida Erdahl Hogy. She met Raymond Erickson from Superior, Wisconsin and on June 10, 1930 they were married in Cyrus, Minnesota. In 1947 the couple moved to Port Washington when Raymond worked at the Wisconsin Electric Power Plant. They resided on West Fourth Avenue for many years. Clarice taught at St. Cloud Normal School in St. Cloud, Minnesota before her marriage. She enjoyed being a homemaker, raising her family, quilting and sewing. A member of Christ The King Lutheran Church she taught Sunday School and bible study, even organizing bible study groups in her home over the years. Her husband Raymond preceded her in death August 6, 1974. She is survived by her children Paul (Arlene) Erickson of Glendale, Wisconsin, David (Karen) Erickson of Milwaukee, Wisconsin, James (Connie) Erickson of Port Washington, Wisconsin and John (Kathy) Erickson of Long Eaton, England. She was a proud grandmother of 8 and great grandmother of 9. Further survived by brother Rafael Hogy of Minneapolis, Minnesota, nieces, nephews, other relatives and friends. Preceded by her husband, 4 sisters Victoria, Lorna, Edna and Gerda and a brother, Luther. The Rev. 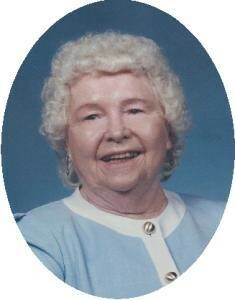 Marilyn Borchardt will officiate funeral services 7 PM Tusday, January 11, 2005 at the funeral home. Interment Union Cemetery, Port Washington, Wisconsin. Visitation after 4 pm Tuesday at the funeral home. Memorials to Christ The King Lutheran Church, Port Washington appreciated.